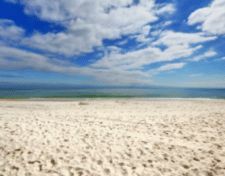 Gulf Shores Alabama condo for sale at Gulf House. This totally remodeled resort property with 2 BR’s and 880+/- sq. ft. will make you want to stay! New furniture and paint throughout, granite countertops, stainless steel kitchen appliances, carpet flooring and more! Excellent real estate investment and/or second home. Located right in the heart of gulf shores – easy walking distance to numerous dining, entertainment and shopping venues. Community offers BBQ area, elevator, private balconies, outdoor pool….great opportunity at $289k, don’t miss this one!